There are quite a few Android phones that support FM radio, at least on a hardware level. But the feature is rare on devices in the United States, and even more rare on carrier-sold phones (carriers would much rather you use more data). 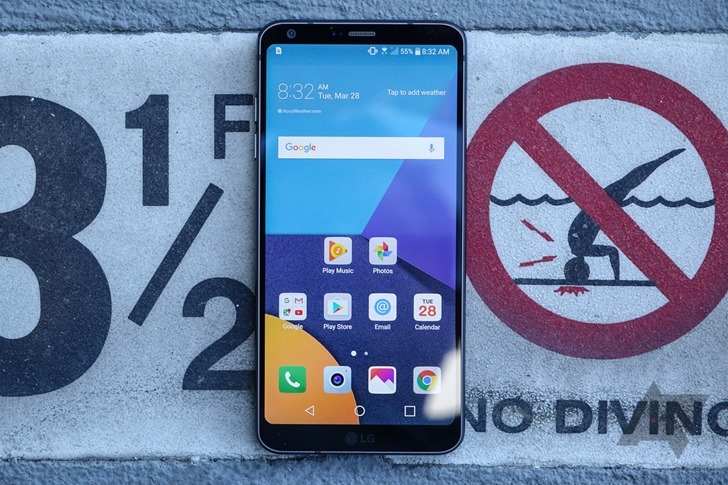 Most of LG's recent devices have shipped with the feature (at least in some regions), including the G5 and G6, but it will expand to more devices soon. TagStation LLC, owner of the NextRadio mobile app, has come to an agreement with LG to enable the FM radio on more devices. TagStation/NextRadio have been pushing manufacturers for years to enable FM radio on their devices, such as with the Free Radio on my Phone initiative. TagStation said in a press release, "LG will enable the FM chip in its smartphones going forward, providing millions of people easy access to local FM Radio across the United States and Canada, as well as Latin American countries, with more countries to follow." The statement did not explicitly say what devices on what carriers will get FM radio, but it did mention that the NextRadio app will be preinstalled on some models (pending carrier agreements). I'm definitely glad to see this news, but carriers are probably less enthusiastic. INDIANAPOLIS (Aug. 10, 2017) – TagStation LLC, owner of the NextRadio app, announced an agreement with leading smartphone manufacturer LG Electronics MobileComm to enable FM chips in LG phones. LG will enable the FM chip in its smartphones going forward, providing millions of people easy access to local FM Radio across the United States and Canada, as well as Latin American countries, with more countries to follow. Subject to agreements with wireless carriers, LG also will preload NextRadio on a number of models. The collaboration will allow LG users to listen and experience live, local radio on their smartphones in a brand new way and provide access to audio emergency alerts even if cellular coverage becomes congested or unavailable. With the NextRadio app, consumers have the ability to listen to the best live music, sports and talk experience via local over-the-air FM radio, while experiencing interactive music content, promotions and ads synced to the on-air broadcast. The direct connection to the phone’s FM chip allows users to use 3 times less battery and 20 times less data than streaming radio apps when listening to NextRadio broadcasts.